Jenna came to me to update her modeling portfolio last Friday. 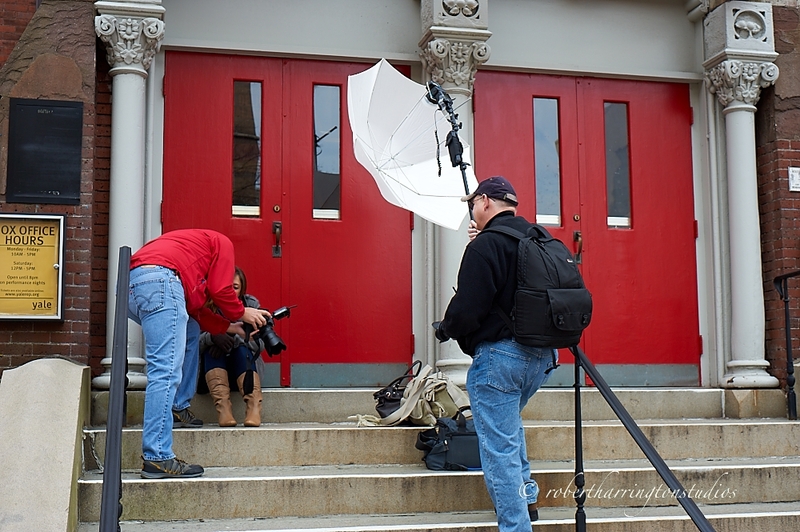 We did a range of shots, including headshots, glamour, fashion, and then we headed into New Haven for some Lifestyle. I shot the first set of these Strobist style: Nikon SB900, Photoflex Shoot-Through Umbrella, California Sunbounce reflector, Pocket Wizards. Then we headed to New Haven for some Lifestyle using natural light. All of these shots are un-retouched original raw to jpeg conversions, no photoshop at all. Looking to start or upgrade your modeling portfolio or maybe a full comp card, don’t hesitate to contact me and book a date. I hope you are all stuffed from yesterday and well-rested for Black Friday Shopping! 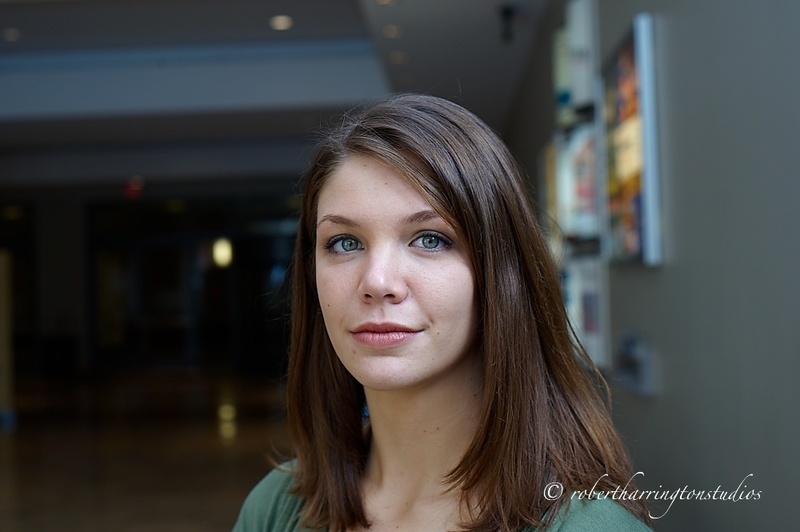 This past Saturday I ran a quick of camera flash workshop with one of my favorite models, Stacey. We ran around New Haven taking shots of her in fashion and lifestyle poses with, you guessed it, a single SB900 and Photoflex Shoot Through Umbrella. I spent the entire day with my D3 and 50 mm 1.8 lens, one of the most versatile lenses ever made. You don’t need a full kit of lenses, one or two will do the job. Many thanks to Stacey and the workshop attendees. I had a blast on Saturday! Want to learn how to shoot like this, then click the link above for the Photo School and I can teach you. For this post I’ll be demonstrating a two light high key portrait with, you guessed it, off camera flash. 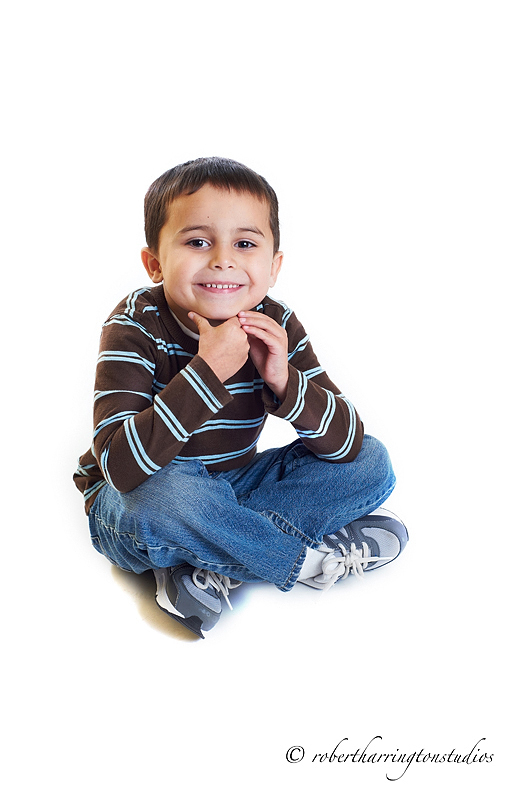 Yesterday I photographed a small preschool in Woodbridge. It was really, really small, not only in the student body but the shooting space as well. I had an area less than 8′ x 8′. Thankfully those kids were small as well!! Here’s the shooting space and my setup. Notice the white seamless paper. I cut a roll down in length to make the space and then rolled out two separate lengths off of a 5′ roll to cover as much of the floor as possible. In Photoshop I made a quick levels adjustment to make sure the whites were totally white, did a minor sharpening, and the images are ready to be sent out to print. Off camera flash is a versatile way to light your subjects. I was able to get into a tight spot and get the shots with a simple lighting system. Try this one at home! It’s not too late just yet! It’s not too late yet: Call 203-641-2880 or email rvh34@hotmail.com to book your slot! Here’s the News: It’s time for do a formal announcement for The Marketing, Branding, and Shoot Your Way to Success Meetup Workshop. I am proud to co-host this wonderful series of Meetup Workshops with my friend and fellow photographer Brooke Alison of Brooke Alison Photography. 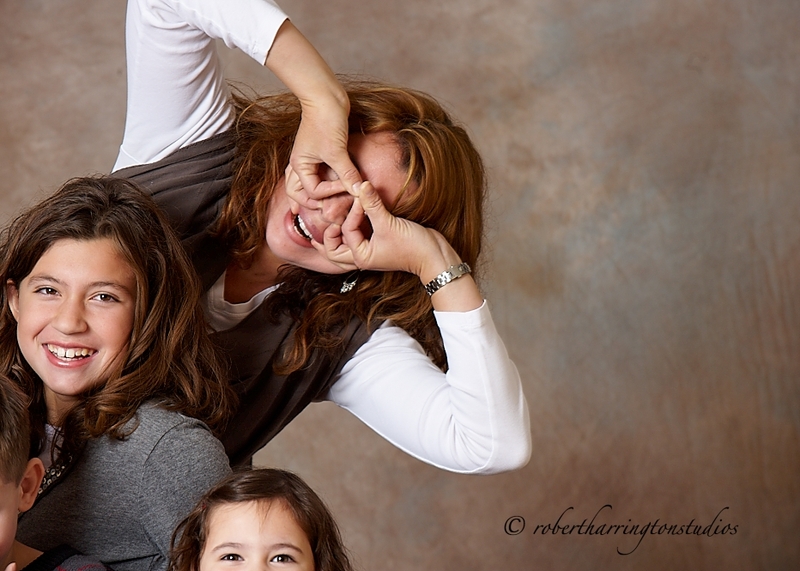 For those of you who know me or read this blog, know me by Focus In Close Photography. Well not anymore! As a result of a wonderful meeting with Brooke, I am changing my name and brand in one fell swoop for 2011. And it is working!! I now go by Robert Harrington Studios, with a new custom font name, new logo on the way, and new website on the way as well, I’m moving forward into 2011 eager and ready to work. This is the first in a series of 3 workshops. The next ones in January and February will be mini wedding workshops, including Marketing, Branding, Social Networking, and getting some shoot time in with a bride. I’ll be covering on camera flash and some natural light shooting. Brooke is a marketing and branding genius who helped me and can help you. Attend our Meetup workshop on December 4 and see. As an added bonus, just by coming to our event you are eligible to win a new brand logo for your company by Leslie B. Mann Designs. Register here: Meetup.com and let us show you how to Market, Brand, and Shoot your way to success!! I use the X-Rite Color Checker Passport for all of my work: Sometimes I forget to pull it out of my bag, though. The X-Rite is really made to be used with Adobe Lightroom, Camera Raw, and Photoshop for instant DNG profiling of your file for drag-and-drop color correction. For me, though, I use Capture One, which uses ICC profiles for file color, so I’m excluded from using the DNG profiling. But, I discovered that if you are using Capture One, all you need to do is photograph the Munsell Color Target and use the Auto Color Correction button to have the software completely correct the file. This, for me, is great news as I love Capture One and now can utilize the X-Rite as you Adobe users do. Then I hit the A for Auto Adjust in Capture One and get a corrected image. If you compare the two closely, you’ll see how contrast and color have been improved in the adjusted photo. 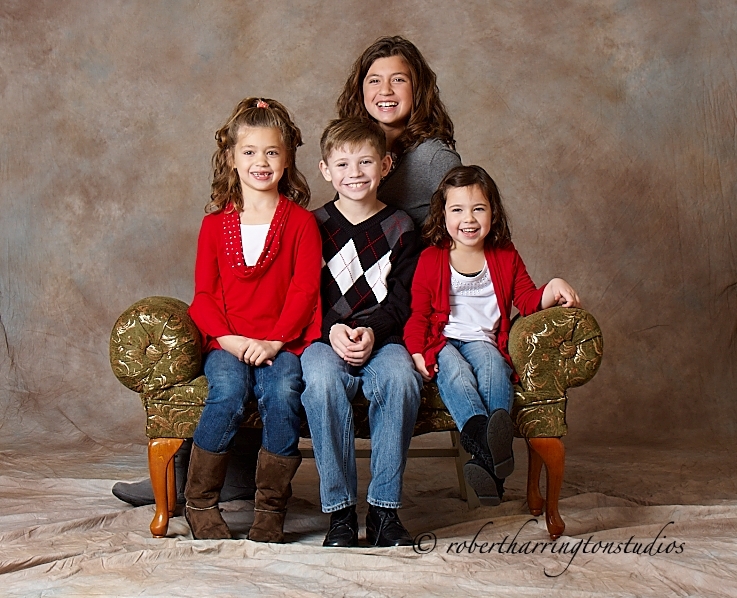 After that, I just copy and paste my adjustments to my photos and I’m done: Color Correction made easy! In the above photo, the blacks, whites, and colors are fuller and have more contrast than the original. That’s the way I do it in Capture One. The effect is the same in Adobe products, you just need to make a DNG file and calibrate it for the software and away you go. 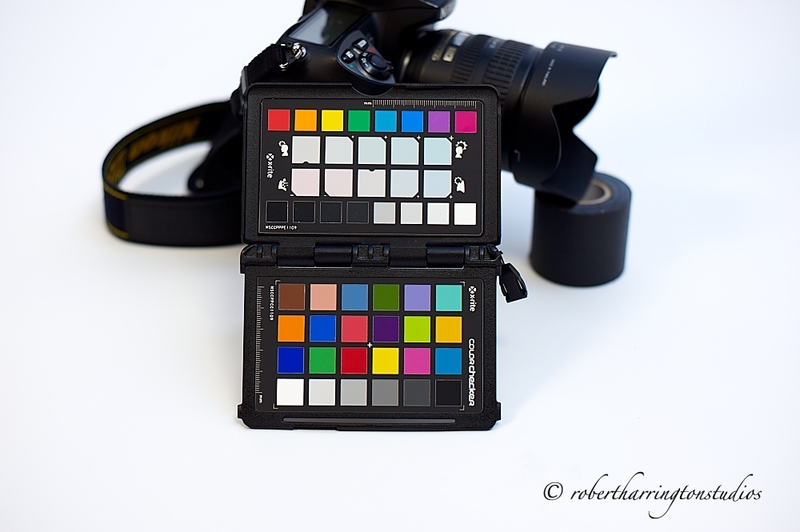 The X-Rite Color Checker Passport: I won’t leave home without it. As promised for yesterday, I know I’m a day late, I’ve put together a few shots of how I do on camera bounce flash. I stole this technique from a N.J. wedding shooter named Neil Van Niekirk. He recently conducted a two hour seminar at B+H photo and I trudged down there with Kathy Marciante of Kathy Marciante Photography to meet him. I love this technique. It is simple, cheap, and very effective. Take that omnibounce off of your flash, return that Gary Fong, and try this system: it just simply works! First, you need to go to AC Moore or Michaels or any craft store and purchase a 12 x 18 sheet of White Foam Paper. 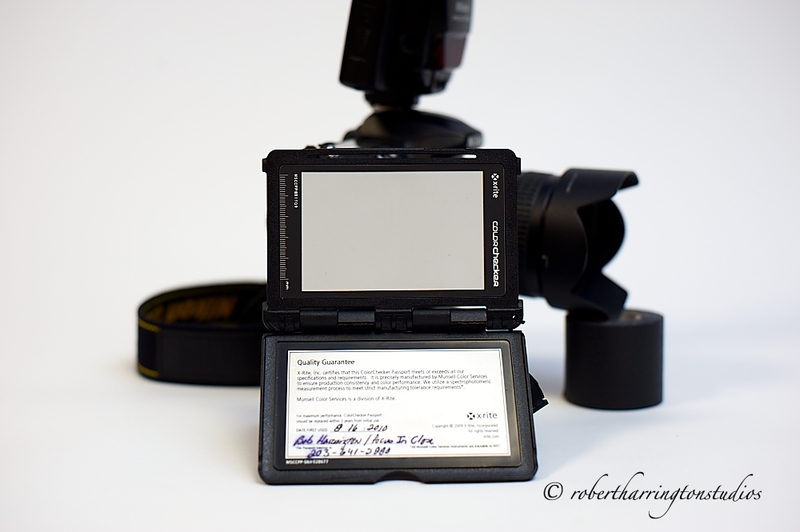 For the Nikon SB900, cut squares 6 x 6 to fit the flash head. 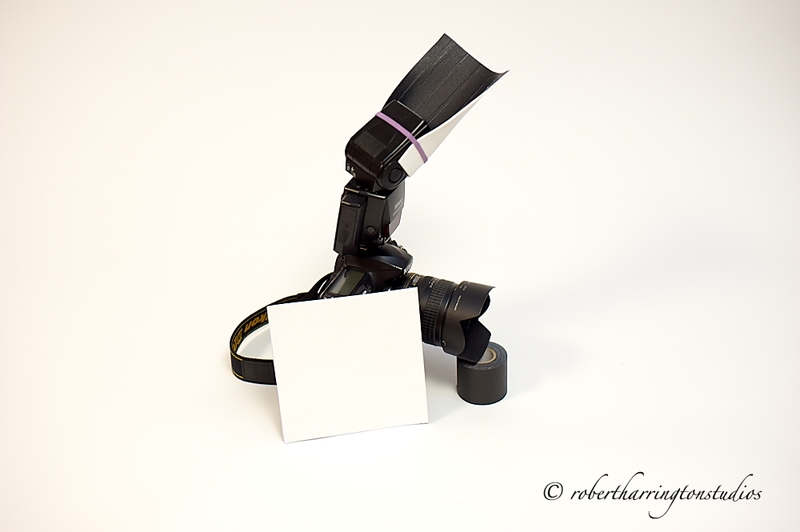 I use gaffer tape on one side of the foam paper so I can have a white reflective side and a black subtractive side. I usually use the white side but I like having the alternative right in front of me. 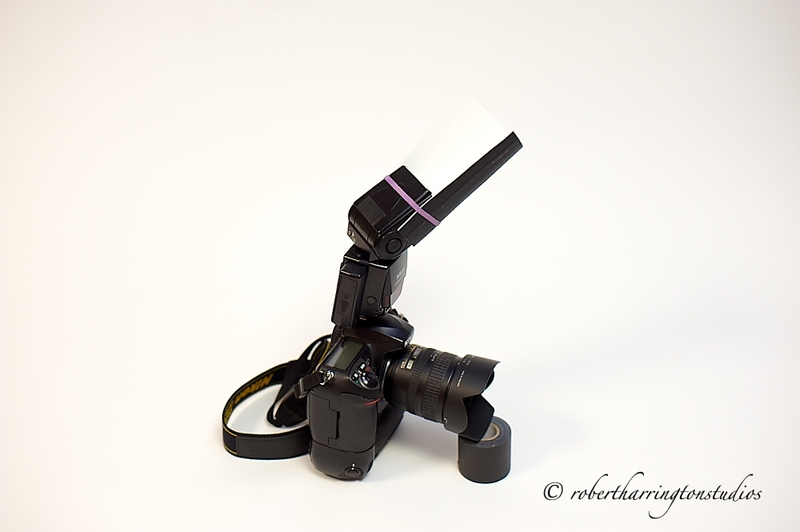 Here’s a shot of it on my D200 and SB800 with the white side out. I use rubber bands to attach the card, but you women can also use elastic hair bands. But the absolute key to this system is using the flash to its fullest, by that I mean using the swivel action of the flash. By swiveling the flash to bounce it from the nearest wall or ceiling intersection, you create soft reflected light on your subject. Then, all I had to do was move our subject, Linley, to a nice spot and then bounce some flash around the room to light her softly. We were working in the foyer section of the Hartford Convention Center, right in the middle of the whole place, which goes to show you that great images can be made anywhere! We simply put Linley in a nice spot and went to work. 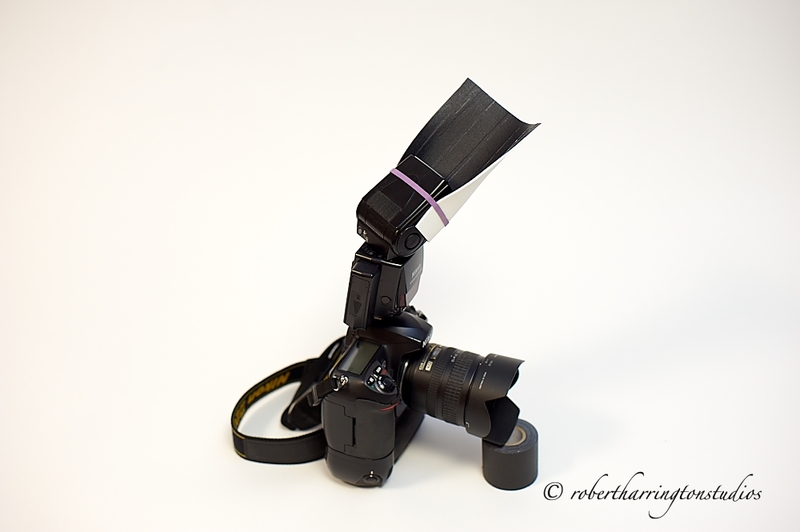 This is a wonderful way to bounce your flash cheaply and effectively. So, send me that $50 you were going to drop on a Gary Fong Lighsphere and go out and make some great images for only a few bucks. This post is on yesterday’s meetup workshop. I went to Hartford to run this one and we worked outside the Hartford Convention Center. 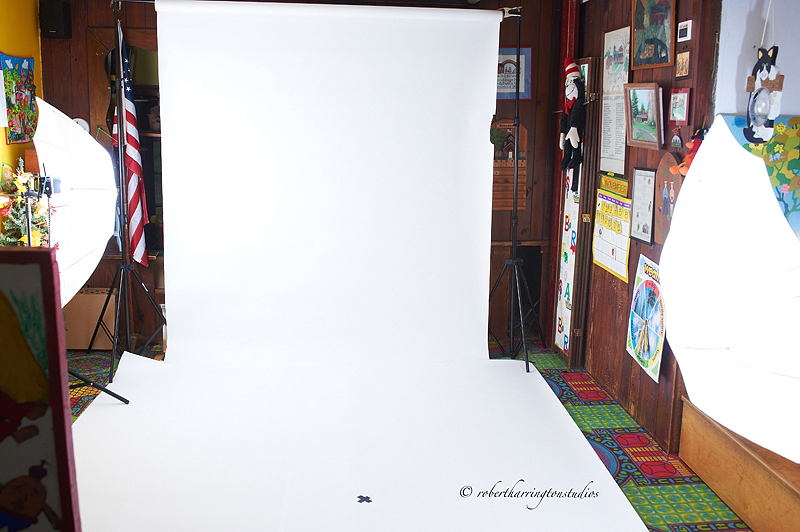 This is a great place to shoot with a ton of graphics to add to your images. Unexpectedly, we worked on camera bounce flash first. I’ll have a post on that tomorrow, but for now take a look at the shots we got of our wonderful model Linley. We used off camera flash in a multitude of variations, then we did some natural light shots as the overcast day had just perfect flat light. We used a combination of On Camera Flash, Off Camera flash with a shoot-through umbrella, Direct flash, and natural light. Want to learn how to take shots like these, then enroll in the photo school at the link above. You get great private instruction for a great price.